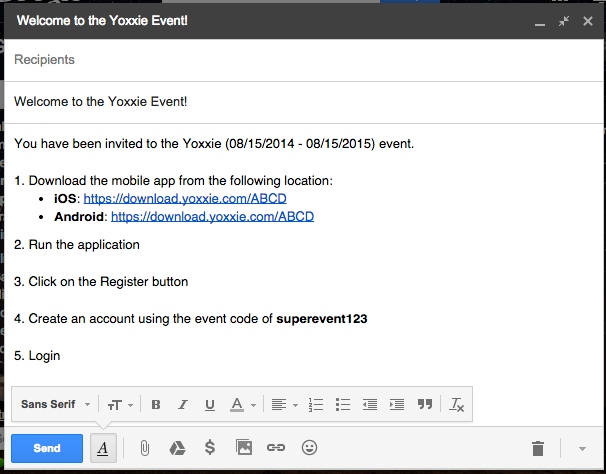 Yoxxie allows your attendees to customize their own event schedules. Contact us and get a demo scheduled today. Yoxxie mobile apps uniquely identify people using QR code badges, which can be used to connect and engage with exhibitors, sponsors, and other attendees. Contact us and get a demo scheduled today. 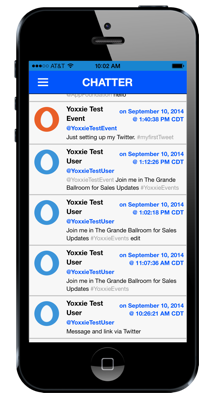 Turn engagement into leads with the Yoxxie Mobile Engagement platform. Contact us and get a demo scheduled today. There are innumerable benefits to active, geographically targeted events over their passive and static counterparts. When it comes to reaching your audience, convenience is king – and taking your brand to your target customer’s doorstep can be the key to tapping a wider market. One of the primary reasons that people attend events is to make connections. The Yoxxie Mobile Engagement Platform makes connecting easy through its QR Code Badge and Lead Generation abilities. 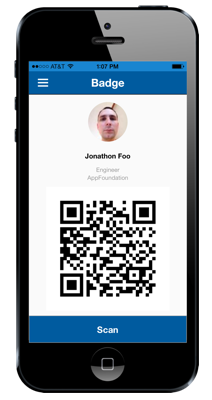 Every user whether sponsor, speaker, attendee, exhibitor, or planner gets a unique QR Code based badge in the Yoxxie Mobile Engagement Platform. Whenever you let someone scan your badge or you scan someone else’s badge, both of you form a connection in which you can view contact information which the other has chosen to share. This is typically a combination of phone number, email address, and Twitter. There’s a good chance you’re already doing good social media marketing for your event. Events businesses are well ahead of the curve on social. Yet not so many businesses have experimented with social media advertising. It’s a shame, because if you get it right it can be amazingly powerful for events businesses. In the modern computing age of the Cloud and almost daily cyber security breaches of major online retailers, security and authentication are important concerns of application users. This is why the Yoxxie Mobile Engagement Platform has taken numerous steps to secure the information of its users, and ensure that only authorized parties can access even the most basic information about another user. Event registration requires a code. 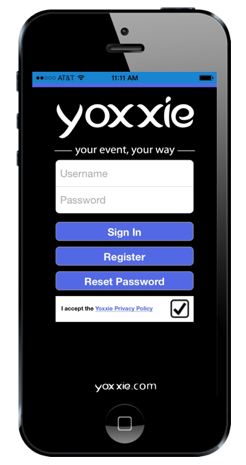 The Yoxxie Content Management System allows you to specify special codes for attendees, exhibitors, and sponsors to sign themselves up through the mobile application. This allows you to ensure that not just anyone can register for your event. If your attendee registration code is superevent123 then all your attendees have to do is download the mobile application, press the “Registration” button, and fill out their information using the registration code. The Yoxxie Content Management System even provides you with the email to broadcast to your attendees, exhibitors, and sponsors. Yoxxie accounts are password protected. Yoxxie accounts for the various mobile applications and the Content Management System are protected by email address and password. A single Yoxxie account will allow you to register for any event for which you have the registration code, and to login to any event for which you are registered. You choose what information to share when you connect. The Yoxxie Mobile Engagement Platform uses a QR Code badge system to allow users to connect. Whenever you let someone scan your badge or you scan someone else’s badge, both of you form a connection in which you can view contact information which the other has chosen to share. This is typically a combination of phone number and email address. No financial information is stored and communication is encrypted. No financial information of any kind is stored. All financial transactions are delegated to trusted third party providers over encrypted channels such as PayPal and Stripe. Communications between the Content Management System and the Platform, as well as the various mobile applications and the Platform are also encrypted. Event budgets are often under scrutiny and Event Managers are constantly under pressure to deliver amazing results on shoestring budgets. Here are some simple cost saving tips you can implement without compromising on quality or your attendees even noticing! Part of running an event is not only promoting it, but also promoting the different players at your event. Speakers, Sponsors, and Exhibitors are going to be the key players at most events. This is because your attendees are coming to see your Speakers and Exhibitors, and your Sponsors are paying good money in order to get noticed, make connections, and get a good ROI. The Yoxxie Mobile Engagement Platform provides numerous mediums in which you can further promote your Speakers, Exhibitors, and Sponsors. Speakers are individuals or companies that are driving sessions. They are the presenters providing their subject matter expertise for your attendees at your event’s various sessions. 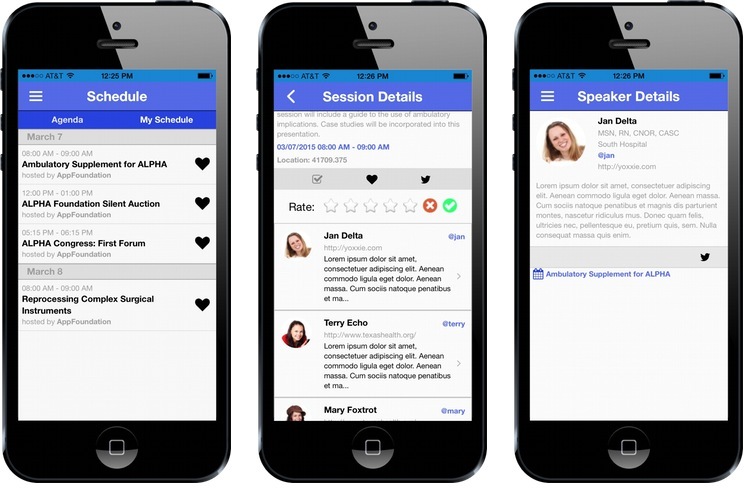 The Yoxxie Mobile Engagement Platform allows you to feature all of your speakers by listing them, listing the sessions they are speaking at, allowing them to attach digital materials to their speaking engagements, and also by providing biographical information. Exhibitors are individual or companies that have a booth on the event floor for featuring goods and services. Through the Yoxxie Mobile Engagement Platform, your can give your Exhibitors a way to reach their audience through their mobile devices. Exhibitors receive their own listing within the event mobile application, and also provide the Exhibitor with a page where they can add all the information they want about themselves and what they are offering. 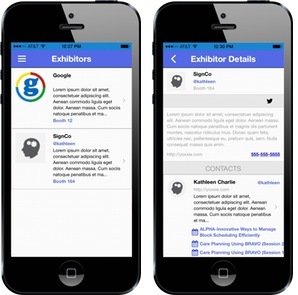 Exhibitors can connect with Attendees both inside the mobile application and outside of the mobile application using social media offerings such as Twitter. Sponsors are the companies that are paying for promotion through your event. Through the Yoxxie Mobile Engagement Platform you can additionally feature your Sponsors within the mobile application. 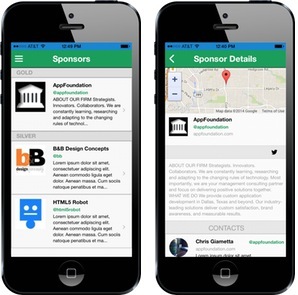 You can tier the Sponsors you want to list by Gold, Silver, and Bronze, and then provide each featured Sponsor with a page of their own within the mobile application. The Sponsor details provide company information, product offerings, methods of contact, and even a map of the Sponsor’s location.